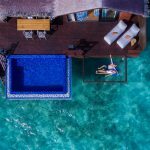 Grand Park Kodhipparu, Maldives today announced that it is the proud winner of the “Luxury New Resort” in the Indian Ocean category at the recently concluded 2018 World Luxury Hotel Awards. Having only opened since mid-2017, Grand Park Kodhipparu has already gained extraordinary interest and recognition amongst its guests and business partners. 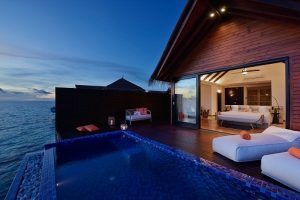 Located on North Malé Atoll, a mere 20 minutes by speedboat from Velana International Airport, Grand Park Kodhipparu, Maldives has been designed by the world-renowned Hirsch Bedner Associates to deliver an experience that is as luxurious as it is at one with its incredible natural surroundings. 120 idyllic beachfront and overwater villas, including 65 with their own private pools, a large infinity pool overlooking the amazing Indian Ocean, stellar culinary experiences in three dining outlets, a world-winning spa, a fully equipped dive and water sports centre, a recreation beach club and kids club will provide guests with everything they could possibly need for their dream getaway. Established in 2006, World Luxury Hotel Awards is the pinnacle of achievement in the hotel industry offering international recognition to luxury hotels across the globe. Over 800 luxury hotels participated in the awards every year, by entering the categories that showcase their unique selling points and destinations. The winners are the result of four-week period of voting process by over 300,000 guests, travellers and industry players alike. For more details information of World Luxury Hotel Awards, visit www.luxuryhotelawards.com.